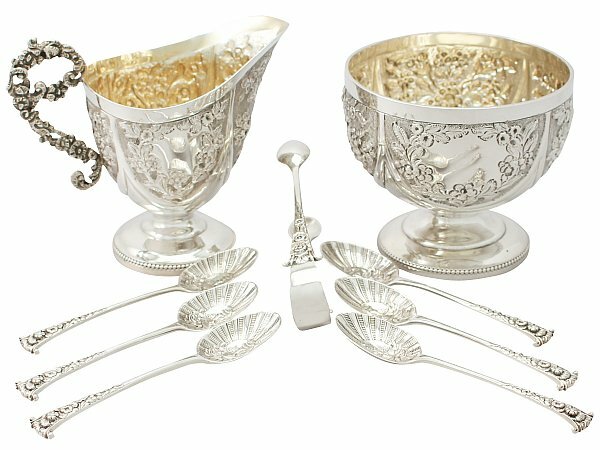 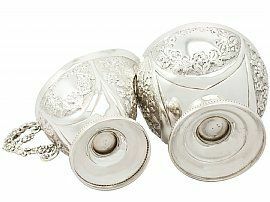 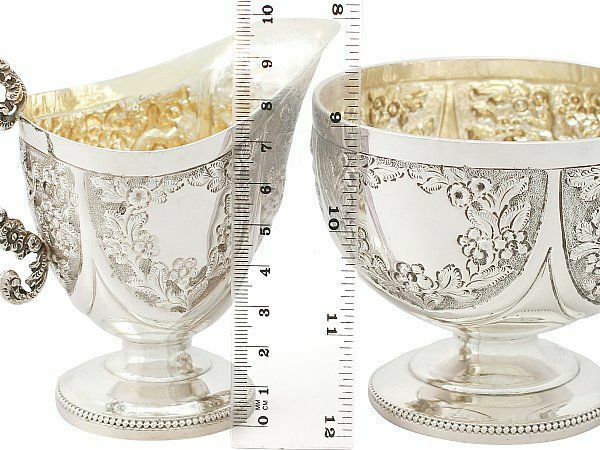 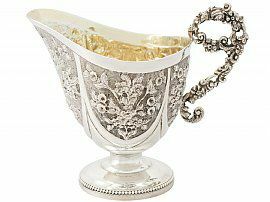 This exceptional antique Victorian sterling silver afternoon teaware set consists of a cream jug, a sugar bowl, six teaspoons and pair of sugar tongs. The cream jug and sugar bowl have an oval rounded form onto a circular spreading stepped bead decorated base. 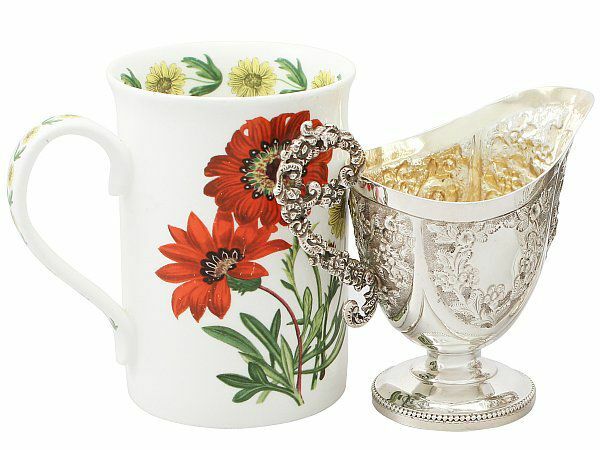 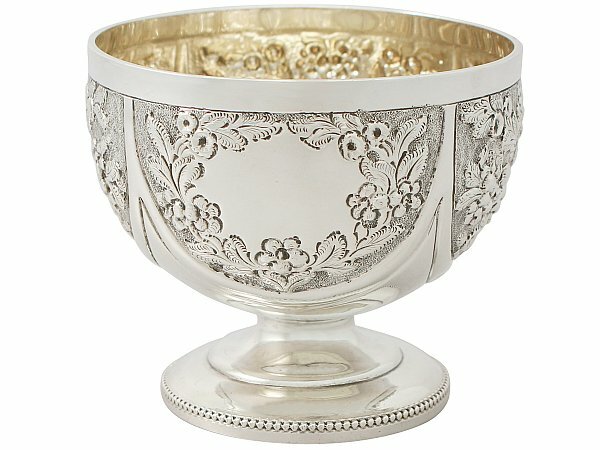 The bodies of the sugar bowl and cream jug are embellished with panels of fine chased and embossed floral and foliate decoration on a matte background incorporating a shaped vacant cartouche to one side. 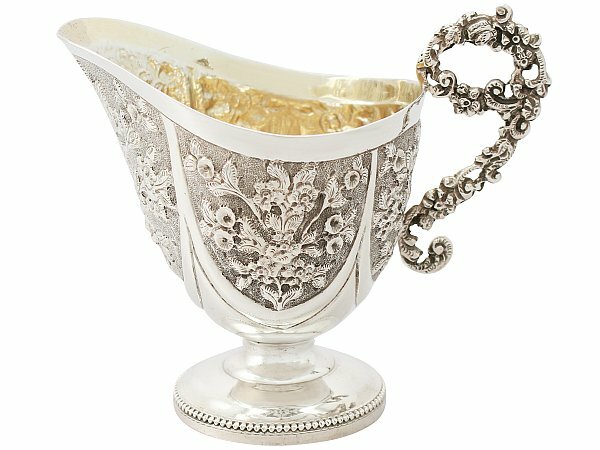 The cream jug is fitted with an impressive chased floral and scroll decorated S scroll handle, with a looped upper terminal. 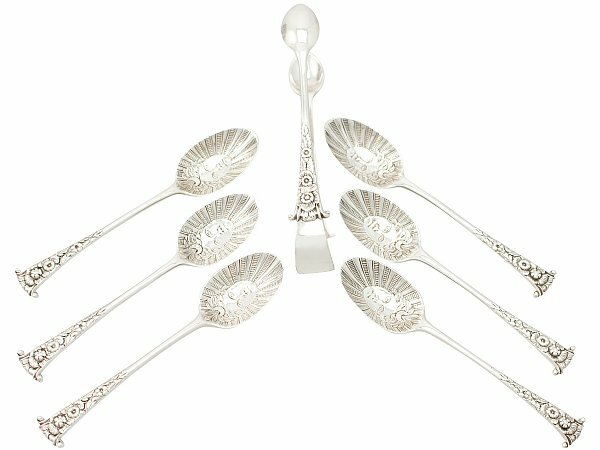 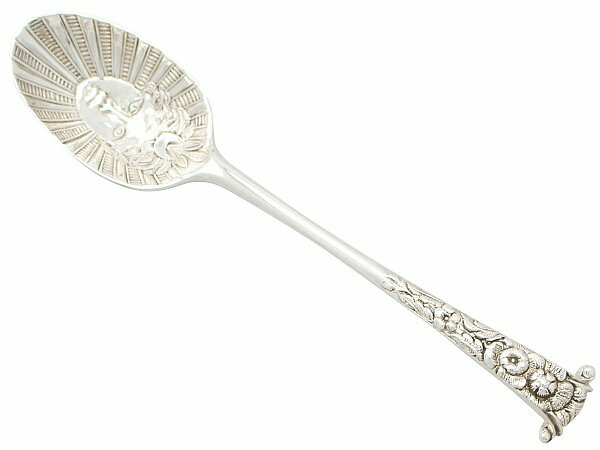 The fine set of spoons has been crafted in the Onslow style augmented with chased floral and foliate decoration to the shaped terminals. 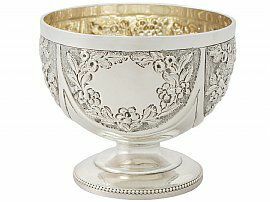 The bowls of the spoons are ornamented with fine chased exotic masks on a radiating sunburst design. 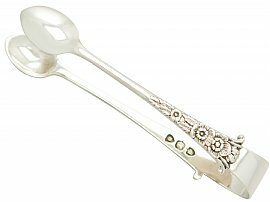 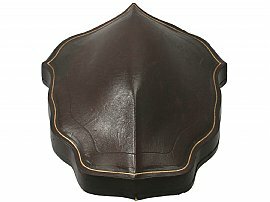 The handles of the tong are embellished with further floral, foliate and scroll decoration. 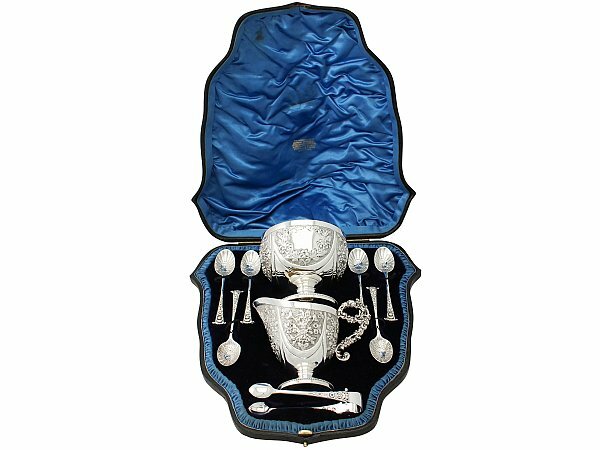 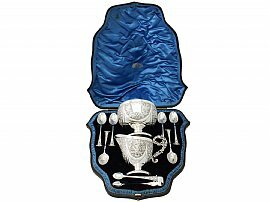 This Victorian silver cream and sugar set retains the original hinged leatherette box with satin and velvet lined interior and a push fit catch. 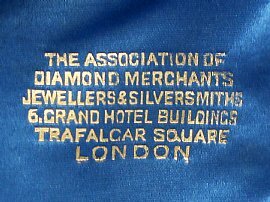 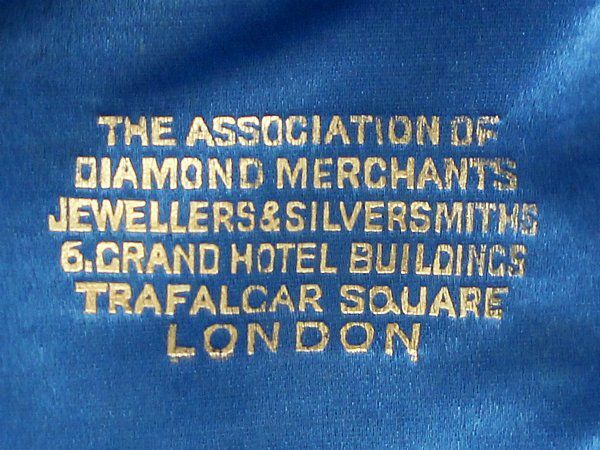 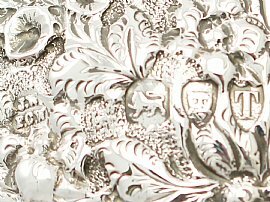 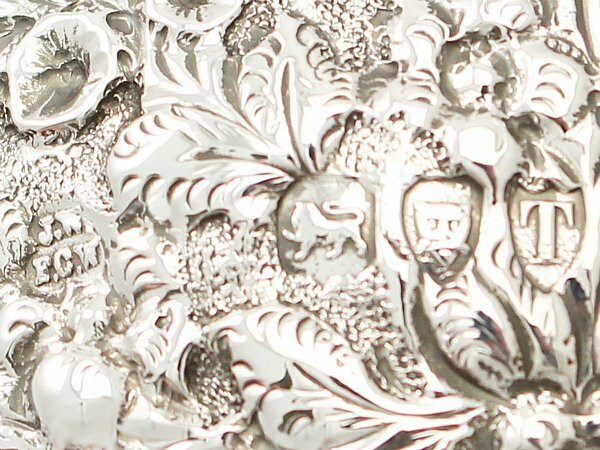 The interior of the box bears the retailer’s mark ‘The Association of Diamond Merchants Jewellers & Silversmiths, 6 Grand Hotel Buildings Trafalgar Square London’. 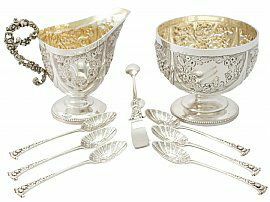 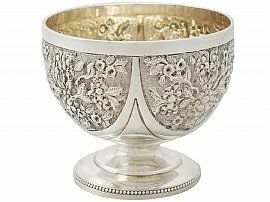 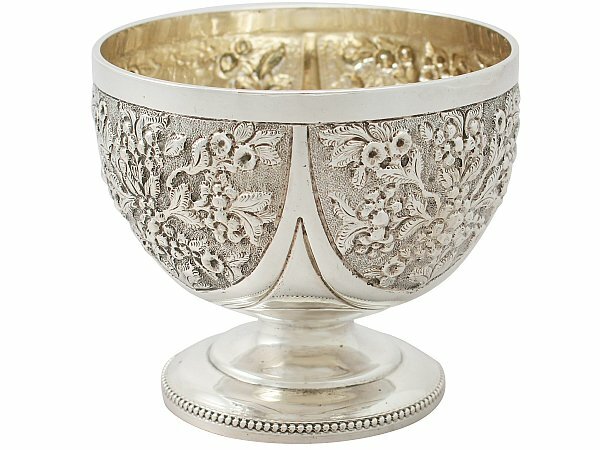 The components of this antique set are a very good gauge of silver, exceptional quality and in exceptional presentation condition. Full hallmarks struck to the surface of the cream jug and sugar bowl, to the reverse of each spoon and interior of the tongs are all very clear. 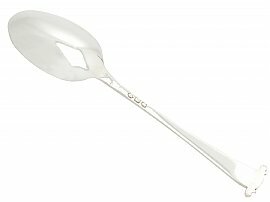 Length from back of handle to lip 11.5cm/4.6"